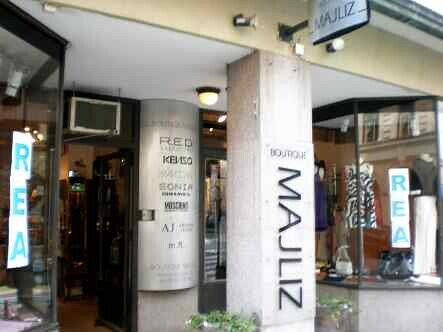 Having opened over 30 years ago, Boutique Majliz is known amonst locals for offering high-quality, high-fashion women's clothing. With a 'three generation' clientel (from teens to middle-aged to seniors) the shop carries mostely brands from Italy and Germany, like Moschino Cheap and Chic, Armani Exchange and Sonia Rykiel. It's jam-packed with clothes, jewellery, bags and shoes, so come prepared to spend some time looking through their goods.